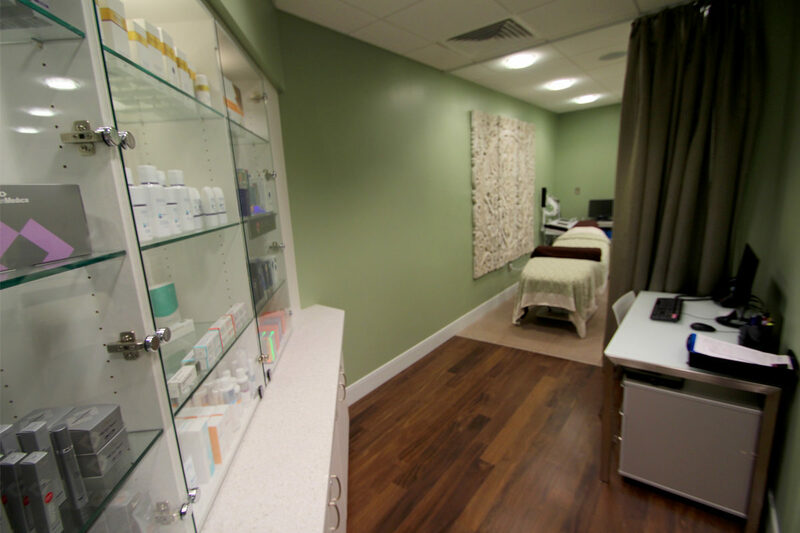 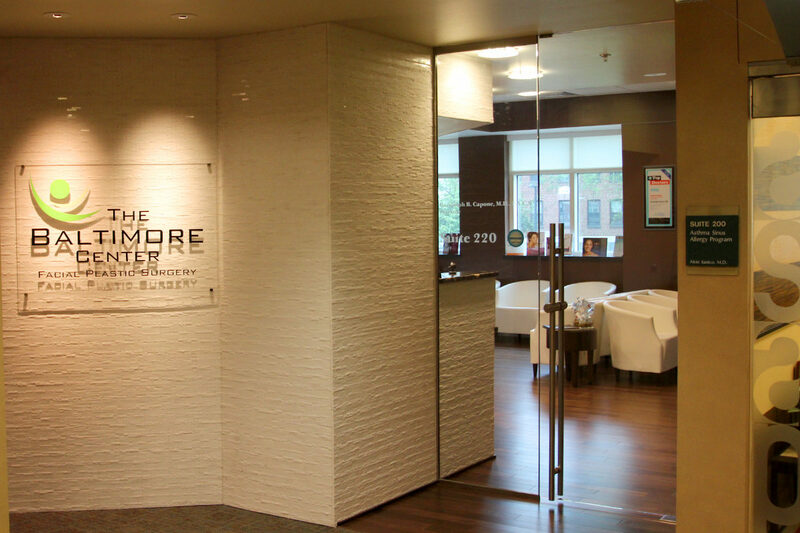 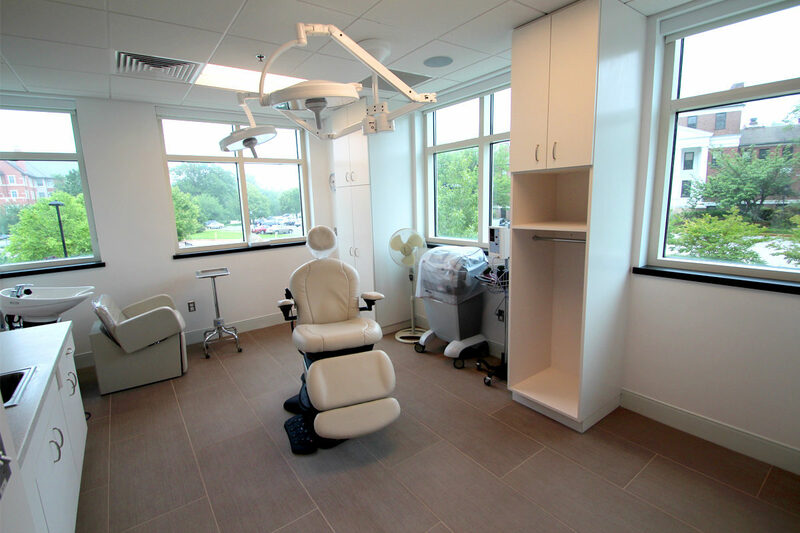 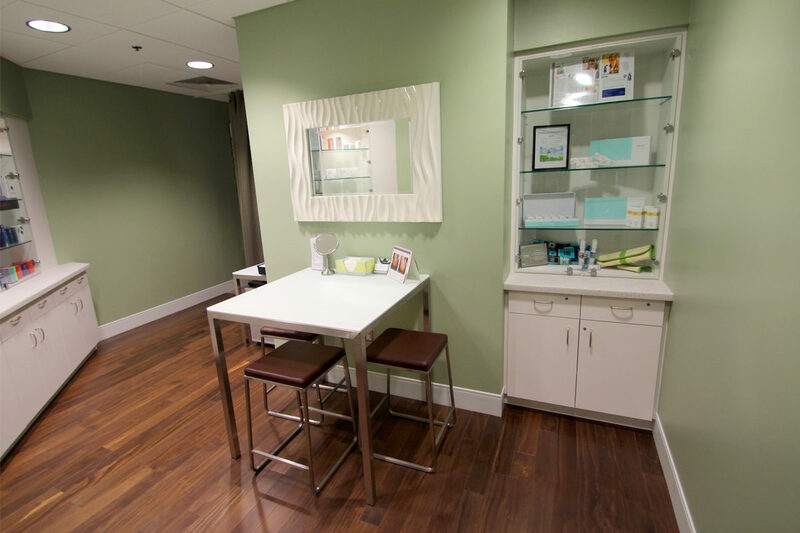 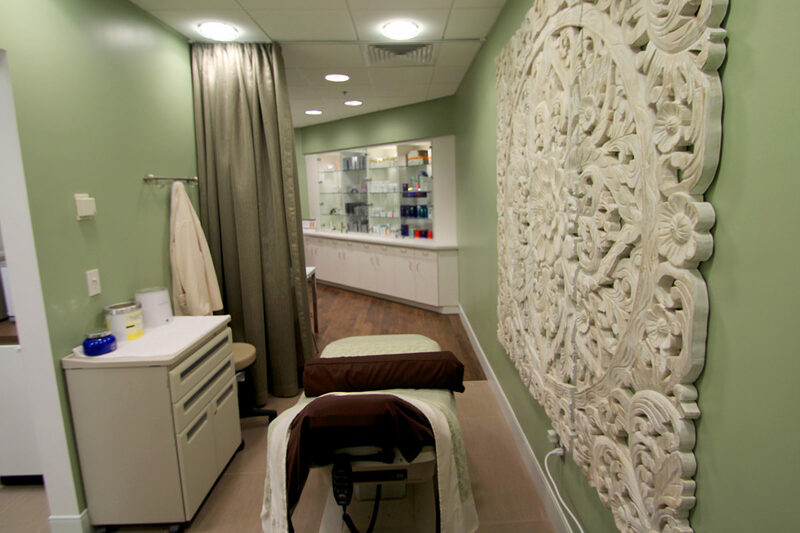 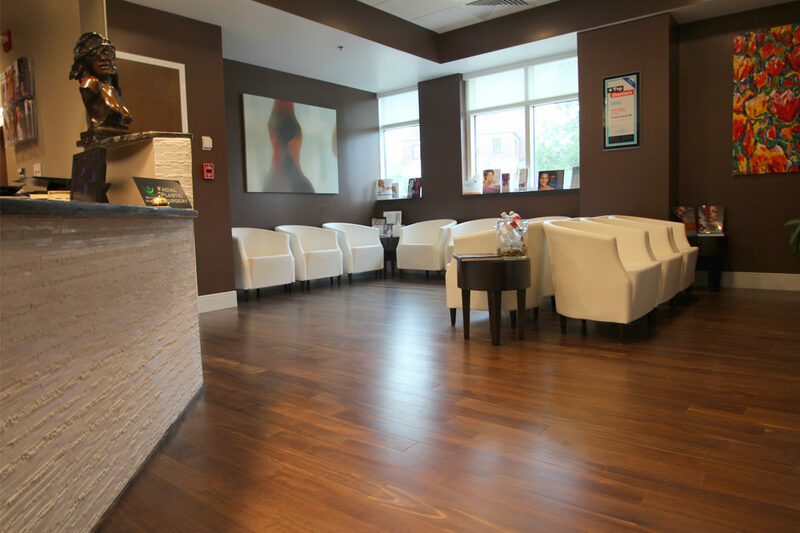 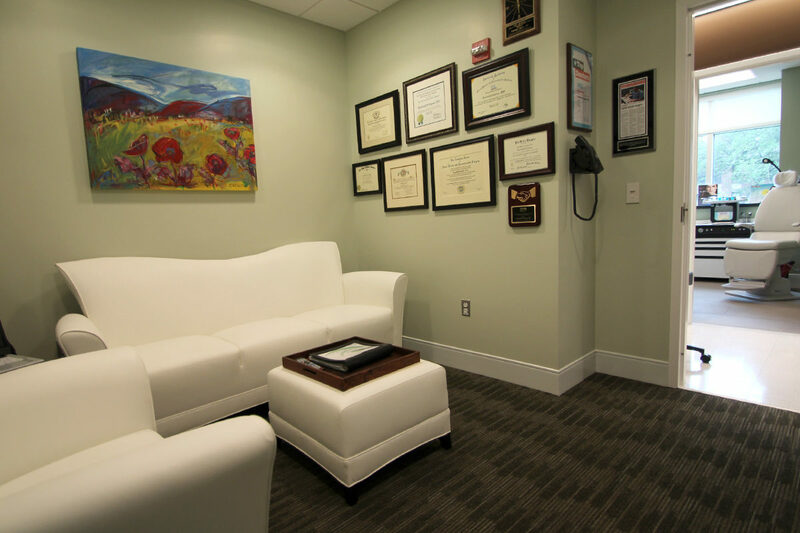 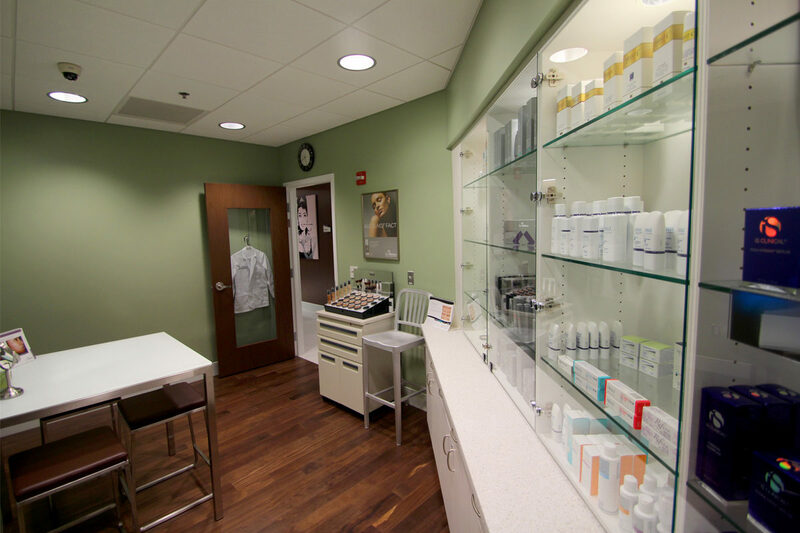 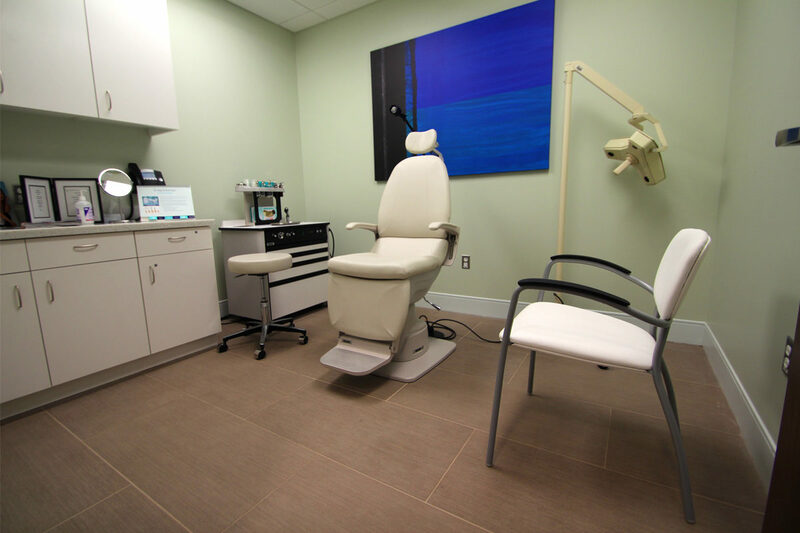 A high-end plastic surgery center and medical spa, wanted a boutique look for their brand of boutique medicine. 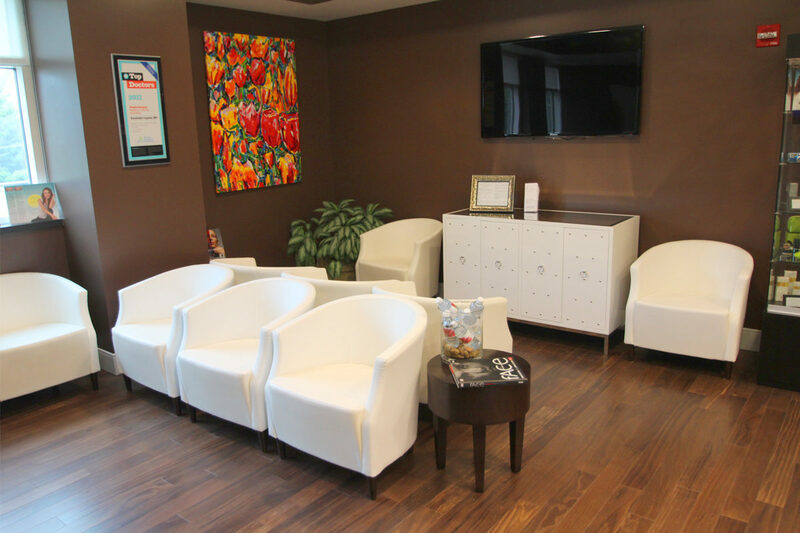 The bold colors, modern art and furniture of the main lobby sit in stark contrast with the soothing, soft, Zen feeling of the aesthetician’s area. 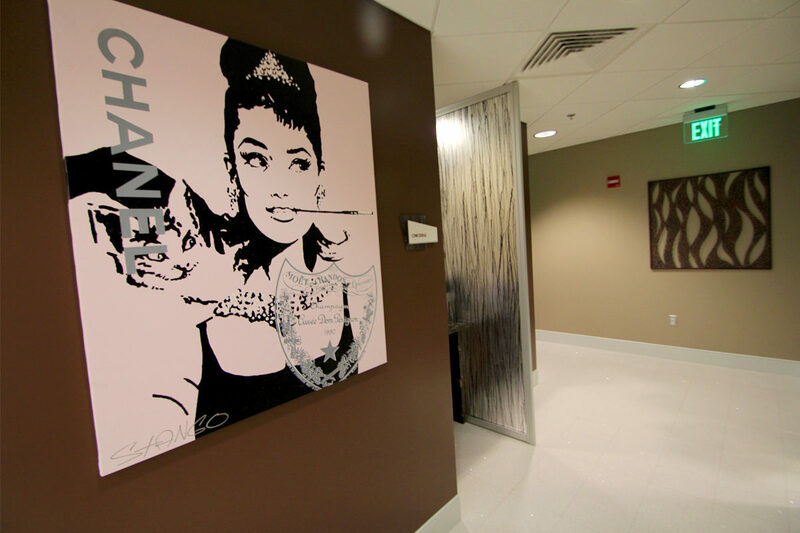 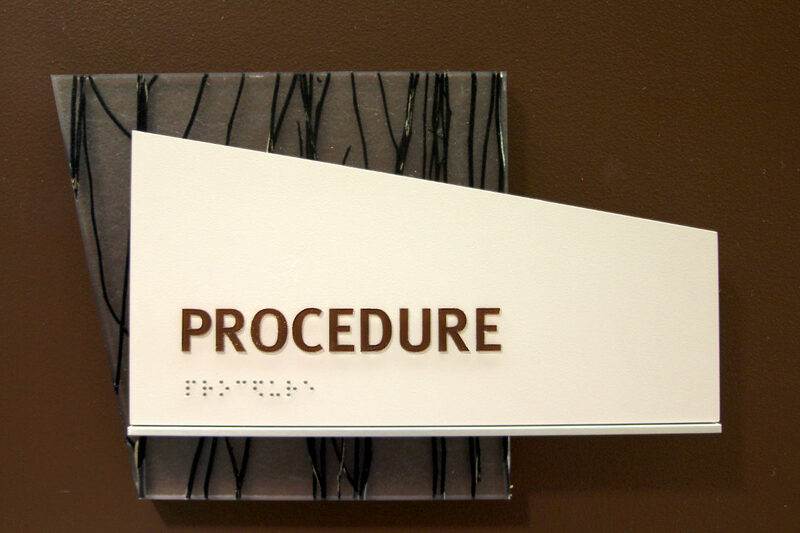 These design ideas are reflected throughout, capturing the surgeon’s attention to detail. 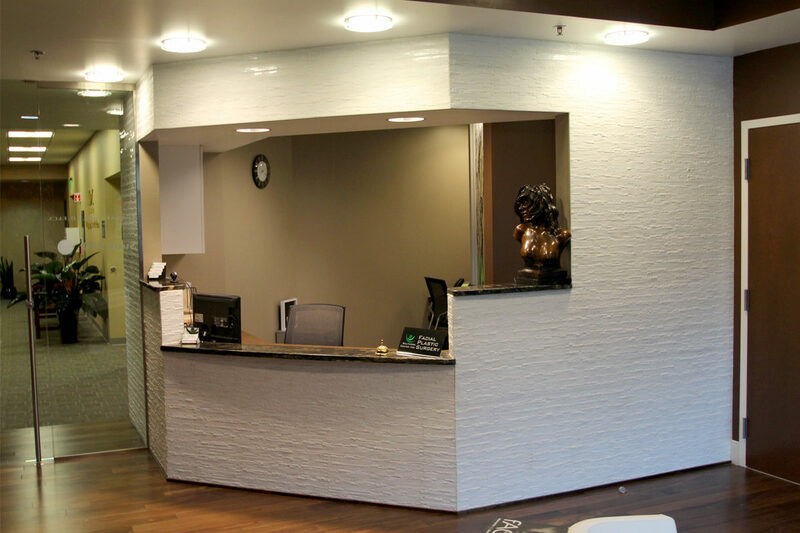 From the lobby furniture that can be wiped down and sanitized, to the flooring, ceiling, and lighting choices that seamlessly provide guidance and overall flow, to the application of white wooden accessories and natural northern light to soften and add reflective, consistent hues throughout the day.